Our winegrowers are inspired by the phenomenal fruit that old vine Zinfandels produce. 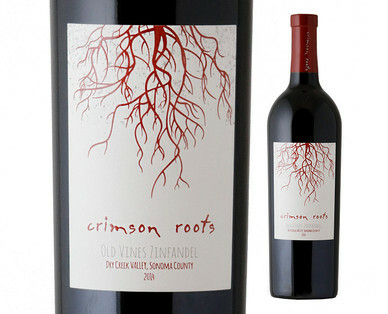 Below the ground, the deep root system that supports these vines are... Crimson Roots. The zinfandel grape loves Dry Creek, and the aromas exhibit brown sugar, clove and nutmeg. Tastes of raspberry and blackberry linger on the palate, with a slight black pepper finish. Pairs well with beef, pork, meat stews, hearty pastas and barbecue.